Thakoon's Spring/Summer 2016 line-up veered away from the predictable with a stunning cast consisting of models on the brink, newcomers, and comeback kids. The common denominator amongst casting director Angus Munro's finely curated selection of beauties was the memorability factor of each girl. Opening proceedings with the bohemian-like vibe of Danish newbie Frederikke Sofie set the tone for a steady procession of unique and effortlessly cool beauties. Fresh faces Mathilde Brandi and Laura Julie continued the Danish insurgence while Dutchie Lauren de Graaf had show goers in awe of her pristine features and slinky runway strut. Also making their mark were the über cool Steph Smith, Marland Backus, Annely Bouma, and Isabella Emmack whose subtle androgyny and short bobbed hairstyles are helping to redefine industry standards of beauty. 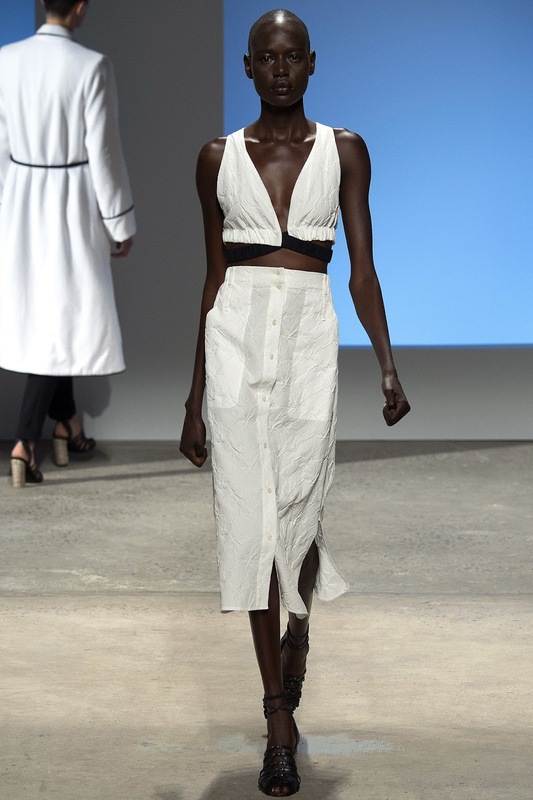 Ethnic diversity was well represented with Sudanese model Ajak Deng, the spectacular Grace Bol, and Asian models Dylan Xue, Luping Wang, Ji Hye Park, Estelle Chen, and Sung Hee Kim serving it up. Models of the moment Sophia Ahrens, Waleska Gorczevski, Lina Berg, Julie Hoomans, and Nastya Sten kept things current while comeback kid Carolin Loosen appears to be experiencing a runway renaissance on the back of her recent stunning editorial turn for Dutch Harper's Bazaar.